Worldwide Community energy has and continues to underpin the energy transition in countries like Germany, Denmark, the United Kingdom and even the United States. The first modern wind turbine – Tvindkraft - was literally built by a community in Denmark in 1978. About 95 percent of the energy needed to light a conventional bulb is lost. It starts with one unit of primary energy, like coal or natural gas, and by the time it goes through all the series of conversions needed to produce light, only five percent is actually used. So, there's plenty of opportunity for improvement. Australia’s renewable energy potential Australia has some of the best renewable energy resources in the world, particularly in wind and solar (Geoscience Australia and ABARE 2010). In fact, according to the Australian Energy Market Operator (AEMO 2013) Australia has more than enough renewable energy resources to power all our electricity needs. AEMO (2013) modelled scenarios for providing 100 percent of Australia’s electricity from renewable energy, and found potential renewable generation to be about 500 times greater than demand in the Nation. While national action is vital, the roles and opportunities for Australian states and territories to contribute to reducing greenhouse gas emissions and expanding renewable energy should not be underestimated. Internationally, the energy sector accounts for the largest proportion of greenhouse gas emissions, which are the main drivers of climate change. Tackling climate change requires large scale changes in the electricity sector and a tripling of low-carbon energy by 2050. Australia’s electricity is largely generated from coal. Our fleet is ageing and inefficient, which means that most of Australia’s coal stations are much more emissions intensive than other countries, including the USA and China. Within the decade, around half of Australia’s coal fuelled generation fleet will be over 40 years old. However, despite having world-class renewable energy resources, particularly in wind and solar, Australia has a low share of renewable electricity generation – seventh lowest among 28 member countries of the International Energy Agency (Australian Energy Regulator 2012). As well as providing low or no emissions energy, renewables attract investment and create jobs, particularly in regional Australia. Twenty one thousand people are already employed in the renewable energy industry in Australia (Clean Energy Council 2014a) and modelling by the Climate Institute (2011) estimated that nearly 32,000 renewable energy jobs (including over 6,800 new permanent jobs) could be created in Australia by 2030 with strong and consistent climate policies. Farmers and landowners in regional areas who lease their land for wind turbines also benefit through annual lease payments which provide a reliable, alternative source of income and help to “drought-proof” farms (Chapman 2013). Around $16.4 million is paid annually in lease payments for hosting wind turbines (Epuron 2014; Clean Energy Council 2014a). Solar and wind provide clean energy and consequently also have additional benefits of reducing the pollution from other energy sources. Coal, the dominant fuel for electricity in Australia produces pollutants that damage human health through mining, transportation, combustion and the disposal of waste (Epstein et al 2011). In Australia, it is estimated that the adverse impacts from pollutants produced from coal-fired electricity generation costs A$ 2.6 billion annually (ATSE 2009). The least expensive zero emission option available at scale for deployment today in Australia is wind, closely followed by field scale solar PV (Climate Council 2014b). Over each full year, renewables are reducing wholesale electricity prices, not only in Australian states where wind and solar PV penetration is high, but in many overseas markets (e.g. Denmark, Texas and Germany) (Sinclair Knight Merz 2013). A University of New South Wales study analysed wind generation, electricity demand and price data in the NEM between 2011 and 2013 and found wind reduced the average wholesale electricity price by 5 to 8 percent. However, there are still significant barriers to realise the full potential of community energy in Australia. That is why the organisations at the forefront of the emerging community energy sector in Australia have founded the Coalition for Community Energy (C4CE). The Coalition for Community Energy has been founded using a Collaborative Impact approach. C4CE believes collaboration creates greater impact than the simple sum of individual member efforts. Together, we can make the difference. Visit the C4CE website here. While it’s clear that Australians love solar, there are more structural reasons why communities are starting with community solar projects. Firstly, solar’s “scalability” means it can be easily tailored to a community’s energy needs. Groups can start with small projects and build their capacity and know-how. Australian farmers manage over 60% of the Australian landscape. "One way in which farmers are taking climate action is through the adoption of renewable energy. Farmers have long fed the world – and now they are helping power it as well. 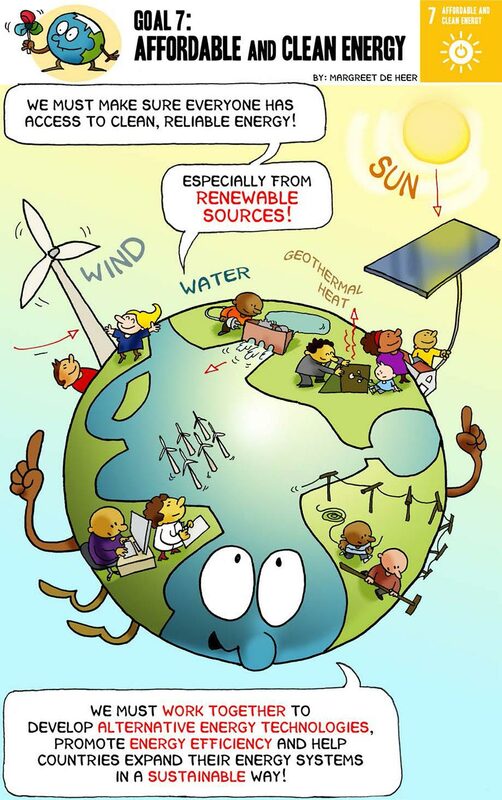 Renewable energy uses natural resources that can be constantly replenished, and provides a winning situation for those on the land and all living beings. It provides farmers with an additional source of income and a stable source of income, a means for reducing costs, increasing self-reliance and enabling a greener production system. Right across the world, communities – both rural and urban – are recognising the opportunity created by clean energy. The great prospects for renewable energy to be embraced by agriculture are out there, and as a farmer, I am truly excited to see the expansion of clean, green production systems." Energy is one of the fastest growing costs for farmers, with electricity and diesel accounting for a significant proportion of total farm costs. It is important for farmers to monitor their energy use to estimate use and costs, and track these costs over time. An audit can also identify energy and cost savings, such as fuel switching and tariff negotiation. Renewable energy and farming are a winning combination. Wind, solar, and biomass energy can be harvested forever, providing farmers with a long-term source of income. Renewable energy can also help reduce pollution, global warming, and dependence on imported fuels. Crops and biomass wastes can be converted to energy on farms or sold to energy companies that produce fuel for cars and tractors and heat and power for homes and businesses. *for this unit when we refer to clean energy we are referring to renewable energy.